For every company page Facebook ‘like’ that Title Source receives from June 1st_ 30th, we’ll donate $1 to the Ennis Center for Children. This tremendous organization helps abused and neglected children, struggling teens and families in crisis. Donated funds will be used to support their annual summer picnic on Saturday, August 6, 2011. 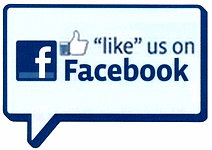 Help us grow and help out our community – ‘Like’ Title Source and ask your friends, family and co-workers to do the same! Title Source Named "Rookie of the Year" at Race for the Cure!